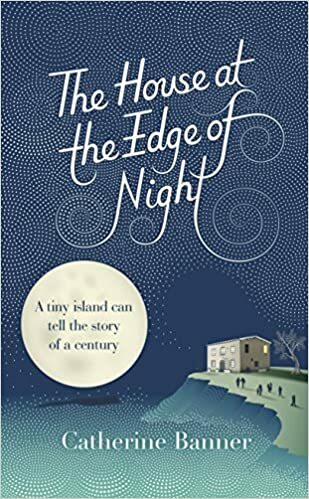 Spanning almost 95 years, The House at the Edge of Night is a vivid, absorbing family saga with the emphasis on great storytelling. Indeed, one of the main characters is described as a collector of stories and there are frequent references to and extracts from Italo Calvino’s wonderful collection of Italian folktales so you sense the author’s respect for storytelling tradition. This is the story of four generations of the Esposito family as well as the stories of their friends and neighbours on the remote island of Castellmare, off the coast of Sicily. There is a great warmth to the writing and you feel fully engaged by the characters, from the convivial local priest, Father Ignazio to the supercilious Conte to the blind widow, Gesuina. Even though Castellmare is physically isolated from the mainland it cannot indefinitely prevent the outside world from impinging on their daily lives – war, technology and the banking crisis all take their toll. I found it very difficult to tear myself away from this compelling story of island life and I read it in a couple of sittings. If you enjoyed Captain Corelli’s Mandolin or The Island, you will be charmed by this epic tale of stoical folk. Highly recommended. Midwinterblood is a cleverly constructed and deliciously dark read. Using reverse chronology it begins in June 2073, on remote Blessed Island, where journalist Eric Seven has travelled to research a story on the islanders who are rumoured to live forever. Divided into seven sections, we hear of seven different stories over the ages right back to Time Unknown. The link in each story is Eric, in various incarnations, and his connection with a girl called Merle who seems to elude him over the centuries. I was quickly drawn into this tense, atmospheric tale told in stark, simple prose. There are echoes of The Wicker Man with suspicious islanders and the outsider, Eric, but he isn’t really an outsider and as you read on, you discover his link with the island. 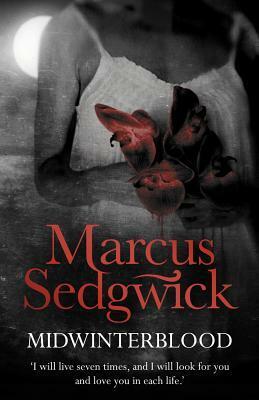 Love, reincarnation, mortality, sacrifice, family ties, fate, symbolism, nature – there’s a lot of food for thought here all wrapped in a gloriously gothic style. This is a story you will want to read again as soon as you have turned the final page. A Young Adult read which will be enjoyed by readers of all ages. Share book reviews and ratings with Teresa, and even join a book club on Goodreads. © 2019. Lovely Treez Reads. All rights reserved. Powered by WordPress & SimpleX theme.